He was one of the leading minds in theoretical physics, all the while confined to a wheelchair and forced to communicate through a speech-generating device. 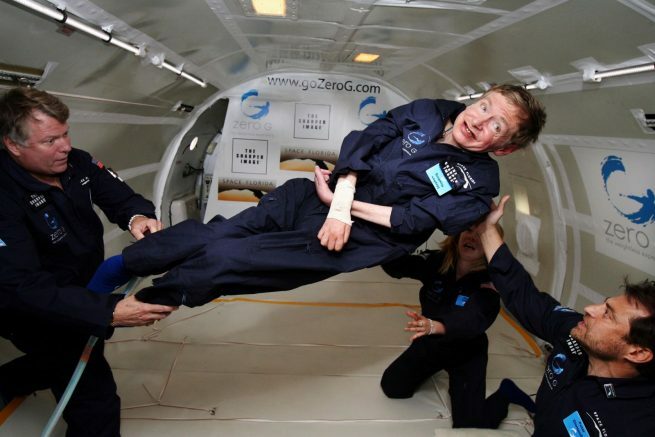 While alive, the brilliant mind of Stephen Hawking could not be stopped. That amazing intellect fell silent on March 14, 2018, when he died at age 76. Hawking was born Jan. 8, 1942, to Frank and Isobel Hawking (née Walker) and would go on to gain an eclectic education, which saw early setbacks. Hawking was slow to learn to read and blamed this on the “progressive methods” of the Byron House School in Highgate, London. He would go on to attend St Albans High School for Girls for a few months. Contrary to his later accomplishments, Hawking was not known as being particularly successful in school (despite being nicknamed “Einstein”). This would, however, not last. His keen intellect and his interest in mathematics were already steering him toward greatness. Hawking began his university education at University College, Oxford, which he found “ridiculously easy.” Additionally, he found university life to be lonely and boring. After receiving a first-class honors degree in natural science, he started his graduate work at Trinity Hall, Cambridge, in October of 1962. Hawking was less than enthused when he was assigned Dennis William Sciama, one of the founders of modern cosmology, as a supervisor. He had hoped to have noted astronomer Fred Hoyle be assigned to him. It was around this time that Hawking was diagnosed with a motor neurone disease known as amyotrophic lateral sclerosis (ALS) or Lou Gehrig’s disease. As anyone in his position might do, he fell into a deep depression and felt there was little point in going forward. He developed problems with his speech, walking without assistance and other issues. If that weren’t enough, his physicians predicted he had about two years to live (the disease is normally fatal within 2-5 years). He was diagnosed when he was 21 years old. The device that allowed him to speak was originally controlled through the use of a hand-held switch. As the disease progressed, he had to generate speech using a single cheek muscle. Physicians aren’t always correct and those who predicted Hawking’s early demise overestimated the spread of the disease—and Hawking’s spirit. It was at this time that Sciama would help ensure the world would come to know Hawking for the genius that he was by encouraging him to continue his work. Also during this period, debate raged within the theoretical physics community about how the universe began, was it a Big Bang—or was the observable universe basically the same over time with no beginning or end? 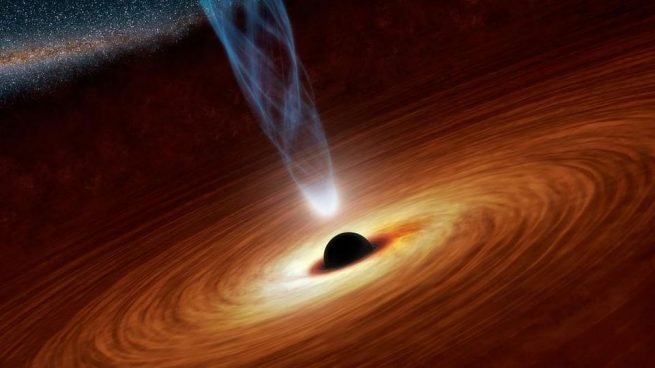 Hawking had begun his graduate work during this time and he had opted to base his thesis off the work of Roger Penrose, whose work discussed space/time singularity’s being at the center of black holes. Hawking applied Penrose’s theorem to the entire universe. During 1965, he wrote his thesis and it was approved the following year. Hawking obtained his doctorate in applied mathematics and theoretical physics, specializing in general relativity and cosmology, in March of 1966. His work would lead to the concept that the universe began with a singularity. Hawking and Penrose’s essay, as well as a proof that was published in 1970, noted that if the universe obeys Albert Einstein’s general theory of relativity as well as Alexander Friedmann’s models of physical cosmology, then it must have had its start from a singularity. In the mid-to-late 1970s, Hawking gained notoriety in his field and was selected as lucasian professor of mathematics at the University of Cambridge—the same post held by Isaac Newton for from 1669 to 1702. Hawking’s life was one filled with accolades, accomplishments and controversies. In fact, it is difficult to compile a comprehensive list without leaving other important events and accomplishments out. As his work detailed the origins of the cosmos. Some of his work even dealt with theological concerns and he spoke about them on occasion without ruling that the universe had a creator. Indeed, Hawking’s life was one filled with accomplishment with many awards acknowledging the importance of his work. He was awarded the American Franklin Medal, appointed a Commander of the Order of the British Empire, and the Copley Medal from the Royal Society. Most recently, he was awarded an honorary doctorate from the Imperial College London in July 2017. For members of the general public, Hawking’s greatest achievements could be those undertaken to spread awareness of cosmology, physics and how it pertains to them. In this, along with a small handful of others, he was the physicist that became perhaps one of the most public faces in terms of matters involving space, astronomy, the universe and physics. He was also a prolific author. Perhaps one of his best known works, A Brief History of Time, was completed in 1984 and has become one of the better-known works on the subject of cosmology. The cause for this was a request by his editor, Peter Guzzardi at Bantam, to make the book’s contents more accessible to the general public and to include less technical jargon than that found in other works on the subject. The book appeared on the Sunday Times best-seller list for more than four and a half years. The formula worked, with the book going on to be translated into a diverse array of languages and selling some nine million copies, elevating hawking’s celebrity status even higher (a film version of A Brief History of Time, produced by Steven Spielberg, was released in 1992). Many celebrity-scientists hold an almost rock-star status, vigorously defending their views. Perhaps of even importance, Hawking demonstrated how to behave when proven wrong. Case in point, he argued that a particle, the Higgs boson (the so-called “God Particle”), part of the Higgs field, would never be found. Indeed it was found at CERN in July of 2012. Hawking conceded that he had lost the bet with Peter Higgs, the physicist who had proposed the particle’s existence in 1964. Moreover, he stated that Higgs should be awarded the Nobel Prize for Physics, which Higgs won in January 2014. Hawking was a great many things, he was a father, a theoretical physicist, author, the Director of Research at the Centre for Theoretical Cosmology within the University of Cambridge. He was an inspiration for millions, a beacon for the disabled and much, much more. For the space community, he was an ambassador, someone who helped spread the gospel of the cosmos to those who were uninitiated or couldn’t understand. “Stephen’s breakthroughs in the fields of physics and astronomy not only changed how we view the cosmos, but also has played, and will continue to play, a pivotal role in shaping NASA’s efforts to explore our solar system and beyond,” said acting NASA Administrator Robert Lightfoot via an agency-issued release. “Along with groundbreaking and inspiring work came another attribute that made Stephen a hero not just to younger generations, but also to his peers. 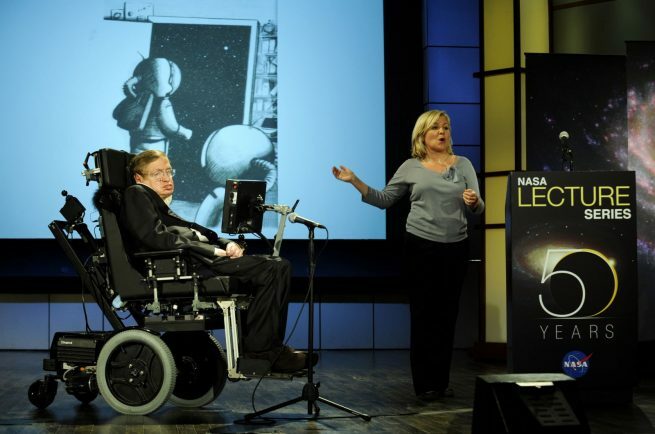 Lightfoot said Hawking was a longtime friend to NASA and a passionate communicator who wanted to share the excitement of discovery with everybody. “His loss is felt around the world by all he inspired with his work and his personal story of perseverance,” Lightfoot said.